I recommended them to my neighbors who were having issues. They were very reliable. I liked the fact that they were very clean and tidy. They were responsive, and they had a very good price. I thought they were very competent, and they seemed to be very reliable. The price was competitive. 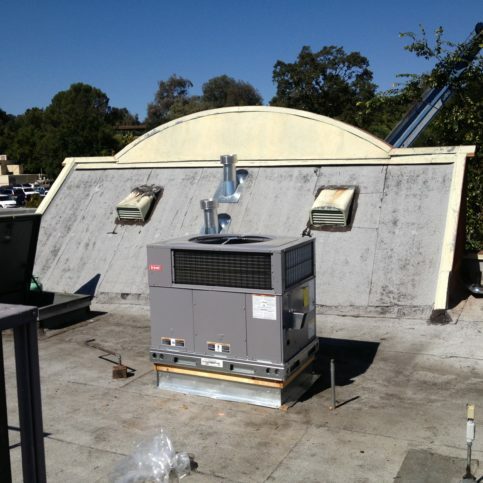 Enviro Heating & Air Conditioning, Inc. installs, repairs, and maintains all types of HVAC equipment for residential and commercial clients in Sonoma, Marin, Napa, and San Francisco Counties. 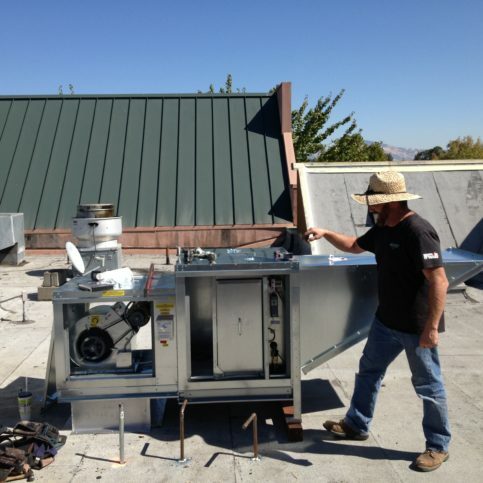 The company also offers a variety of services that are designed to improve indoor air quality (air duct and dryer vent cleaning, third-party HERS-rated duct tests), and it can custom fabricate sheet metal for its customers’ convenience. DIAMOND CERTIFIED RESEARCHED CAPABILITIES ON Enviro Heating & Air Conditioning, Inc.
Company Name: Enviro Heating & Air Conditioning, Inc.
DIAMOND CERTIFIED RESEARCHED ARTICLES ON Enviro Heating & Air Conditioning, Inc.
An Enviro Heating & Air Conditioning technician works on a client’s HVAC system. 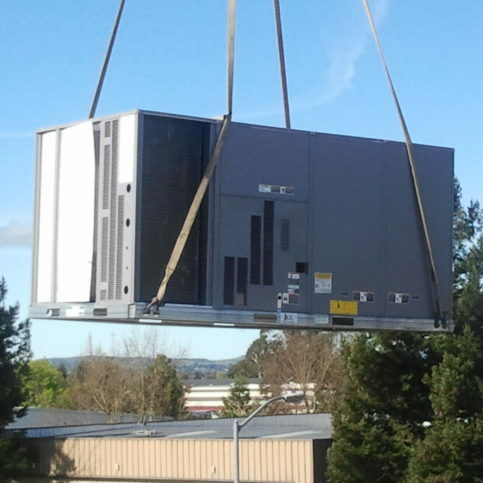 Enviro Heating & Air Conditioning has been installing, repairing, and maintaining HVAC equipment for residential and commercial clients in Sonoma, Marin, Napa, and San Francisco Counties since 2009. 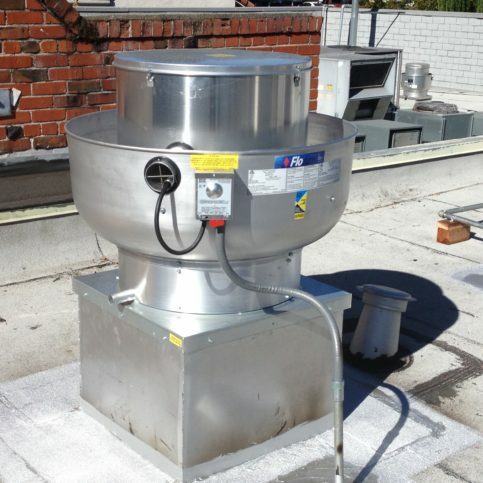 The company also cleans air ducts and dryer vents, performs HERS-rated duct tests, and offers other services that are designed to improve indoor air quality for its customers. SELECTED PHOTOS FROM Enviro Heating & Air Conditioning, Inc.
Chris Street is a longtime veteran of the HVAC industry and president of Enviro Heating & Air Conditioning, Inc., a Diamond Certified company since 2014. He can be reached at (707) 809-5969 or by email. After completing his term at the Denver Institute of Technology, Chris returned to California and got a job doing residential HVAC work. 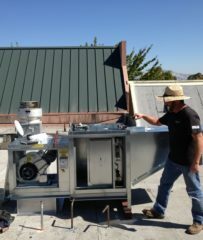 A few years later, he joined the Sheet Metal Workers’ International Association and spent 16 years working for Aaero Heating in Novato before switching to the commercial side of the field. Eventually, after garnering a well-rounded industry expertise, Chris decided it was time to start his own business. Chris was born in Missouri, grew up in Novato and today lives in Rohnert Park with his wife, Lori, and their children. Outside of work, he engages in a variety of family activities and personal hobbies. “We’re big Giants fans, so we go to a lot of baseball games,” he says. “I also coach baseball and I’m on the board for the local Cal Ripken league, in which most of our kids have participated.” Chris also enjoys fishing at local reservoirs like Lake Sonoma and going on family vacations to Hawaii. A: Yes, I played football. A: Cricklewood in Santa Rosa. A: A cheese Danish from Starbucks. Make sure your gas valve is set for the right pressure. A gas valve acts like a carburetor by introducing gas to your system at a certain pressure. If the pressure is set incorrectly, the gas won’t burn clean, which will cause soot to build up in your heat exchanger. Your technician will check the current pressure and make any needed adjustments. “Amp out” the blower motor. When an HVAC system’s blower motor approaches the end of its lifespan, it’ll start over-amping, or drawing more power than it should. Your technician will put an amp probe on your system’s blower motor to make sure it’s running efficiently. Inspect duct work for leaks. Even if the mechanical components of your HVAC system are performing well, if your home’s air ducts contain leaks, you could still be wasting a lot of energy. Your technician will perform tests to assess the condition of your ductwork and find out if there are any breaches to be concerned about. 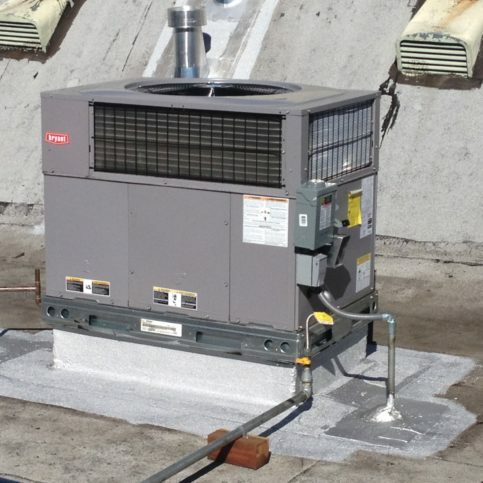 ROHNERT PARK — Host, Sarah Rutan: To ensure efficient performance and maximum lifespan, your home’s heating and cooling systems need to be preventatively maintained. Today we’re in Rohnert Park with Diamond Certified Expert Contributor Chris Street of Enviro Heating & Air Conditioning to learn more. Diamond Certified Expert Contributor, Chris Street: So, the biggest tip that I can give about taking care of an HVAC system in your home would be to have it maintained – preventative maintenance: Having somebody come out, take a look at all your duct work, make sure it’s not leaking; take a look at your gas valve, make sure it’s set for the right pressures; amp out the blower motor, make sure that it’s performing well; make sure your system is up in top shape. Host, Sarah Rutan: To learn more from local, top rated companies, visit our Diamond Certified Experts at experts.diamondcertified.org. Diamond Certified RATINGS ON Enviro Heating & Air Conditioning, Inc.
Enviro Heating & Air Conditioning, Inc. : Average 9.2 out of 10 based on 129 unique customer surveys of customer satisfaction. Very honest with information and pricing, they were very good about giving me options. I was able to get a quick appointment to fix the problem. The price was reasonable, and they finished on schedule. They were honest in their bid. They were good, and they did everything they said they were going to do. They came out on time, and they got right to it. They did the job. They will come through, as they are experts. They were punctual, and they did a great job. They were about the same pricewise as anyone else, but they were helpful in saving me money with another issue that I had. They were very responsive and very professional. I would highly recommend them for any heating or air conditioning needs. They took care of the job, and they got it done. I was quite far away when it happened, so I didn't deal with them in person, but I was able to do some work with them over the phone. They were great. I trusted them. They didn't require a payment upfront. They came out on time, they had a reasonable price, and they answered all of my questions. They were in and out. That I trust them, and you can depend on them. They showed up when they were supposed to, and they answered my questions. They told me they would be there for me in the future if I needed them. They didn't try to charge anything extra. I had a very good experience with them, and they seemed to be very knowledgeable. They did great work, and they were very efficient. They are reliable, on time, honest, and they walked me through everything they were doing. I would give them a "20" if I could. I liked their friendly service and the way they talked to me. They were really nice. They do a good job, and they seem to be pretty quick. They were prompt, friendly, and they did a wonderful job. They showed up when they said they were going to, they were friendly, and they did a great job. I would just highly recommend them. They were quick, fast, and professional. He was friendly and answered all of my questions. He was quick, fast, and efficient. He provided me with all of the information that I needed. They arrived in a timely manner. The technician was very professional and very knowledgeable. That they responded quickly, and they took care of my problem. They came out, and they had the part with them. They fixed the part that needed to be fixed. 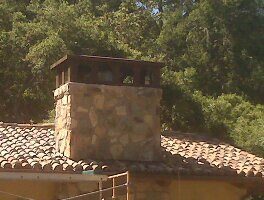 They were able to come out the same day that we had the problem, and they resolved the problem very quickly. They replaced my outdated equipment quickly and for a great price. They are good people, and they run an efficient business. It was easy to schedule an appointment, and they got it done on a last minute notice. They got it done quickly.